Something my family loves to do is go camping. We usually take a few trips a year and find being in the mountains is such a soulful experience. It rejuvenates us and helps us create memories worth remembering. 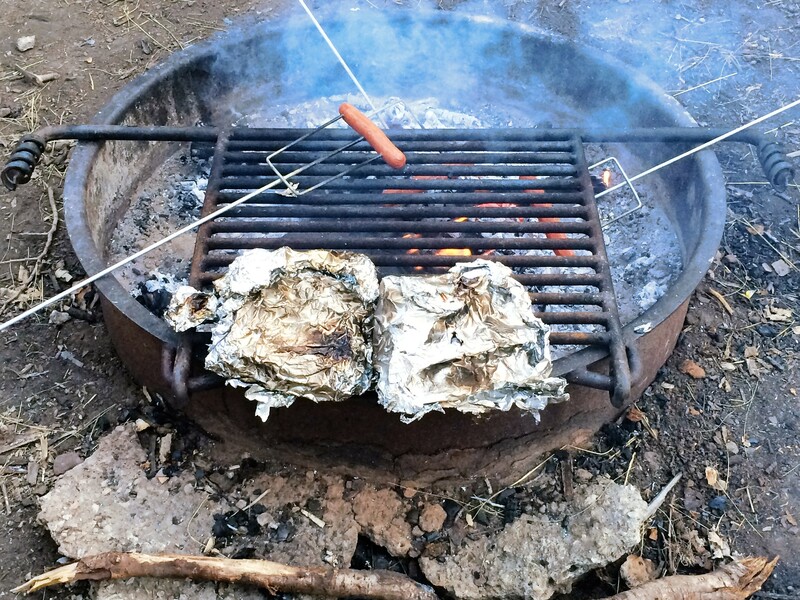 However, camping food is difficult. I usually spend so much money on food while camping, I wonder why we just didn’t go somewhere luxurious for vacation with a pool and room service. So this year on our traditional camping trip with our dear friends I was determined to make this easy on me. I still bought extra food and some food that is a special treat, like muffins (the gluten free Udi muffins are fabulous, but the food was simple this time. We went camping in the most beautiful part of Utah that I had never been before. We try to find new places every year, off the beaten path places, where we wont feel crowded by so many people that we don’t enjoy ourselves. In crowds of people I often get a bit anxious about loosing my children, especially my rambunctious 3 year old (she is a bit of a wanderer and trusts strangers a bit too much). This year we went near the little, yet splendid town of Tabiona Utah. The campsite was called Iron Mine, (this picture is not mine, my phone died and I found the picture on google images, thank you whoever took it) in the Ashley National Forest, in the Uinta Mountains. I was blown away by the majesty of the mountains and the beautiful landscape. I had been near there during winter months, to cut down our own Christmas Tree, but everything is so much more beautiful with the sun shinning through the green trees. We even got the opportunity to watch a true shepherd herd his sheep down the steep mountain side, and down the road. What a treat that was!!!!!! I don’t think I new we had true shepherds in Utah, where have I been and why have I been hiding the city. This is why I love camping so much, seeing the beautiful majesty God created brings such peace to my soul. Last but not least, we Ate them! We used the largest size back Ore-Ida sells and the 8 of us wished for more, they were so good! It took about 20 minutes to cook them, which wasn’t so bad. 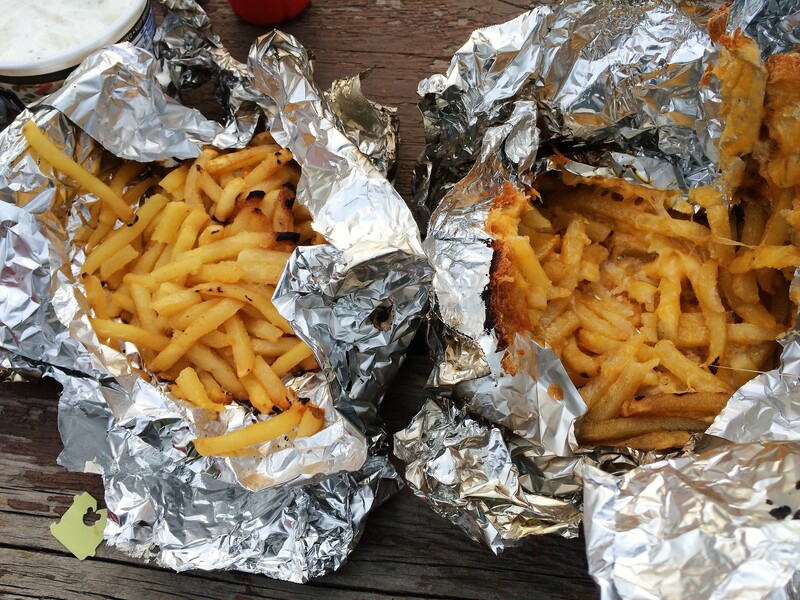 One things we learned was we need to spray the tin foil with your favorite cooking spray because the fries, and especially the cheese stuck to the tin foil. We could have eaten more of the fries if they were not so stuck. My husband took all the girls camping, with out me, last weekend and I sprayed the tin foil this time. It worked so much better. Also it would have been very helpful if we had remembered long BBQ tongs and fire safe hot pads, instead long sticks worked just fine. 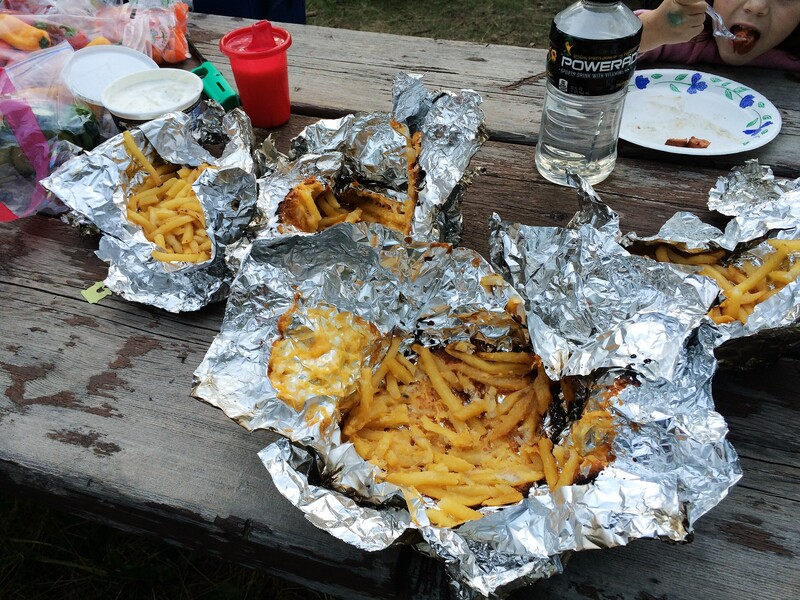 Hot dogs and fries, that makes a great dinner while camping. Thanks Pillsbury, 5 Stars for sure. 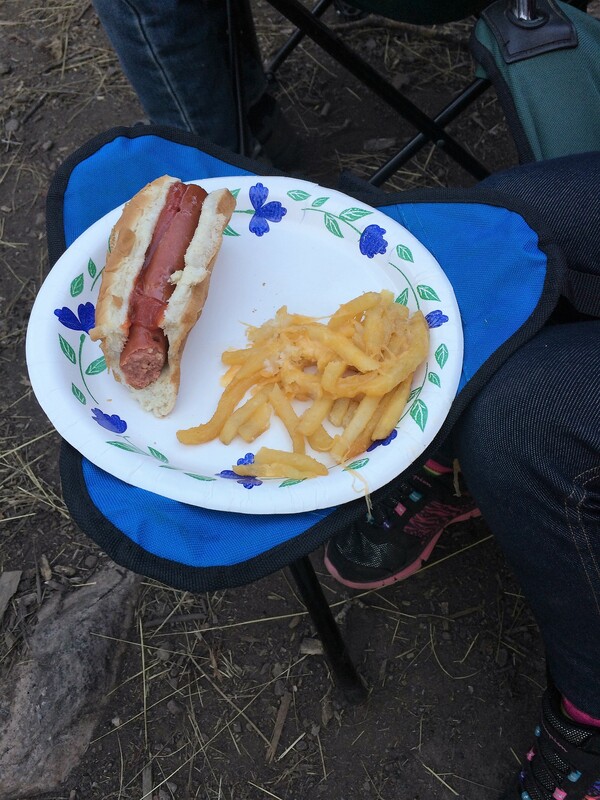 This entry was posted in Gluten Free Recipes, Playtime and tagged Blogging 101, Camping, Camping food, cheese fries, family fun, food allergies, gluten free camping food, Iron Mine Campground, Ore-Ida Fries, Pillsbury. Bookmark the permalink.